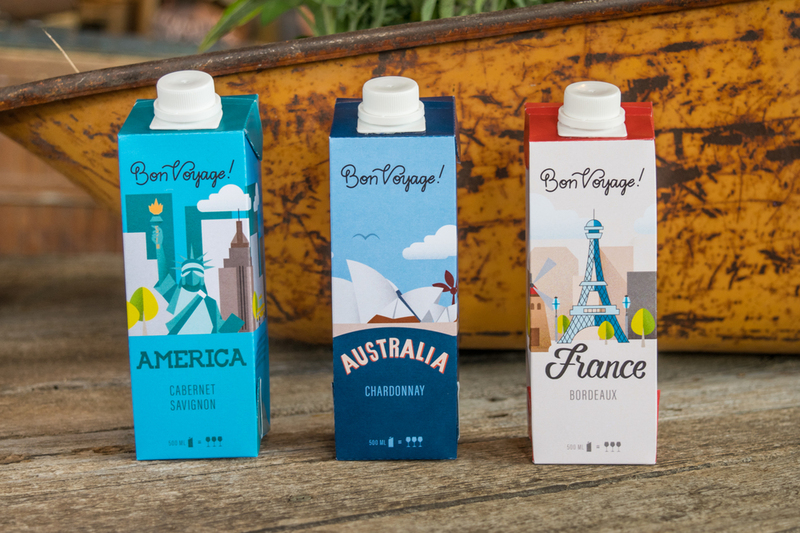 Meaning “good journey,” Bon Voyage is a boxed wine brand that features different wines from different countries of the world. 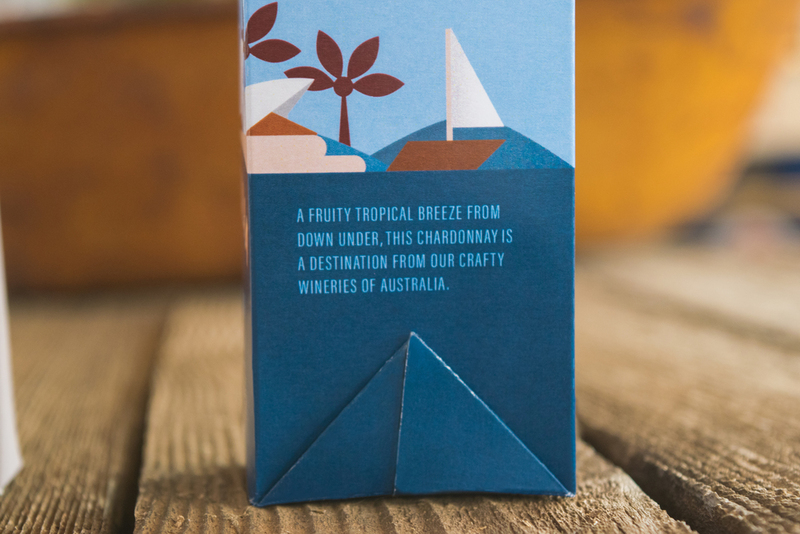 Portable, sustainable and easy to take with you, each box features an iconic location from its respective country and gives a little information of its origins on its side. Boxes can be packaged separately or can be grouped in a 3-pack carrier for large get-togethers or getaways.